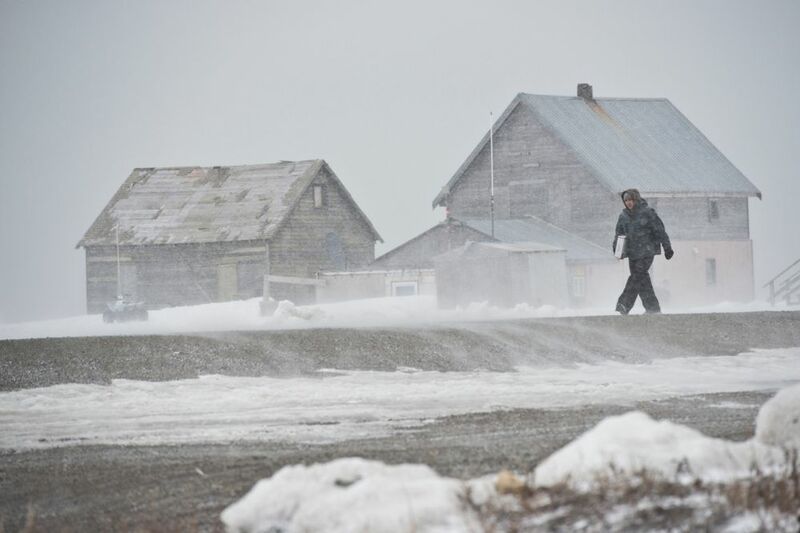 Anchorage Daily News reporter Lisa Demer and multimedia journalist Marc Lester spent a week in April in the St. Lawrence Island communities of Savoonga and Gambell. We’re publishing a series of stories and videos about life on the island, and will be adding more each day. For two Alaska villages, walruses remain essential. As sea ice disappears, can it last? Thinning sea ice puts walruses nearly out of reach. The federal government may list walruses as an endangered species. And ivory bans elsewhere are making it hard for walrus-tusk carvers to sell their art. As spring walrus hunting season gets underway, residents of St. Lawrence Island talk about sea ice changes and how they affect the village. 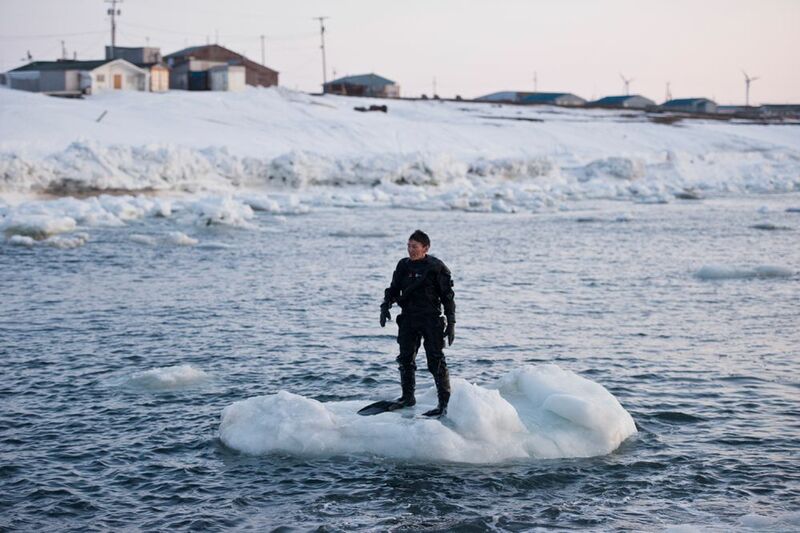 St. Lawrence Island tribal groups tried to protect walruses. Now the animal they rely on faces a threat they cannot control. Long ago, the walruses were almost wiped out, and with them the people of St. Lawrence Island. Climate change is bringing a new threat. Explore springtime in Savoonga and Gambell. It’s his getaway and his job, a wondrous undersea world that strengthens his spirit and tests his aging body. "It's a blanket of seafood in fall time," says one Gambell resident. But out here, "seafood" can mean something else entirely. 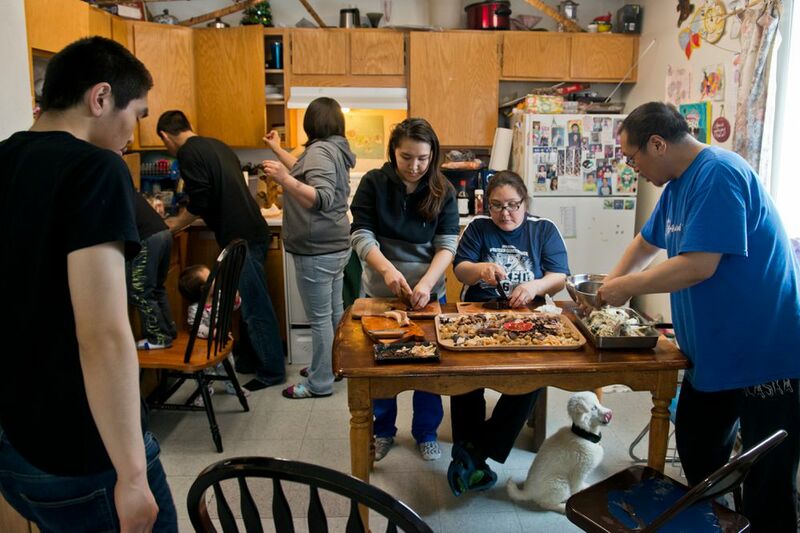 A look at how one woman prepares a subsistence meal for a family of 11. 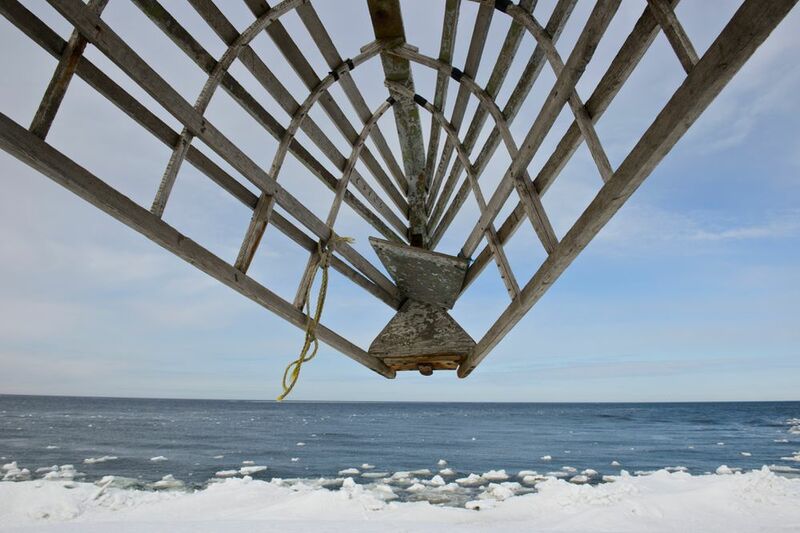 People on St. Lawrence Island have always filled freezers and drying racks with what they collected and caught. Staples are marine mammals. 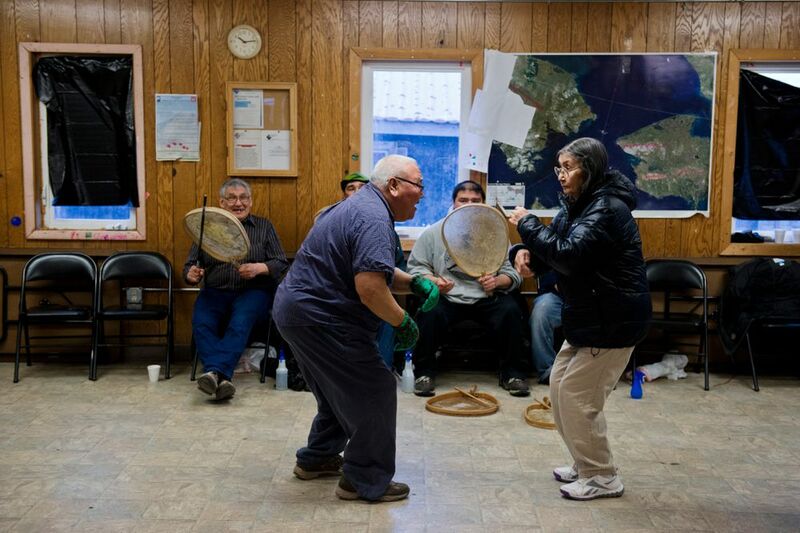 This Yupik dancing doesn’t happen at a special ceremony or festival. It’s not put on by the school. No one wears beaded headdresses or fancy boots or even qaspeqs. It's just part of life on St. Lawrence Island. Weekly dance keeps tradition alive, elders say. 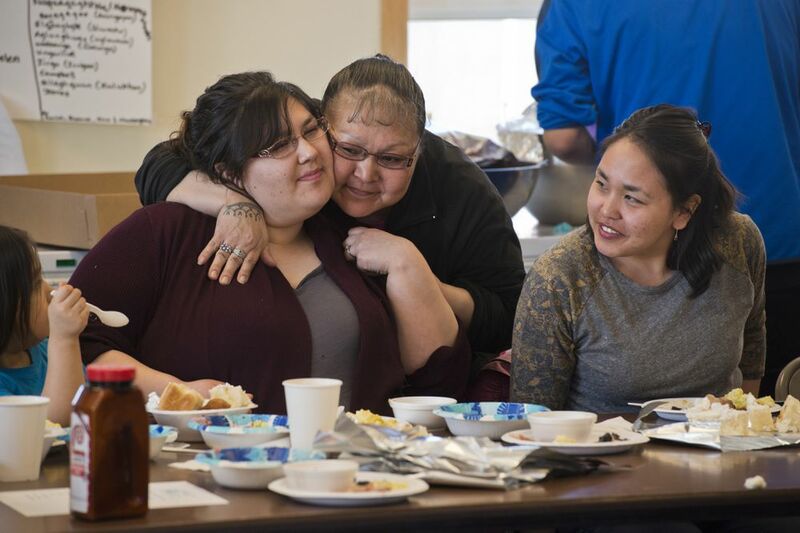 People in the St. Lawrence Island village honored health-care providers and celebrated 45 years of subsistence whaling.